These burgers are filling and utterly delicious! 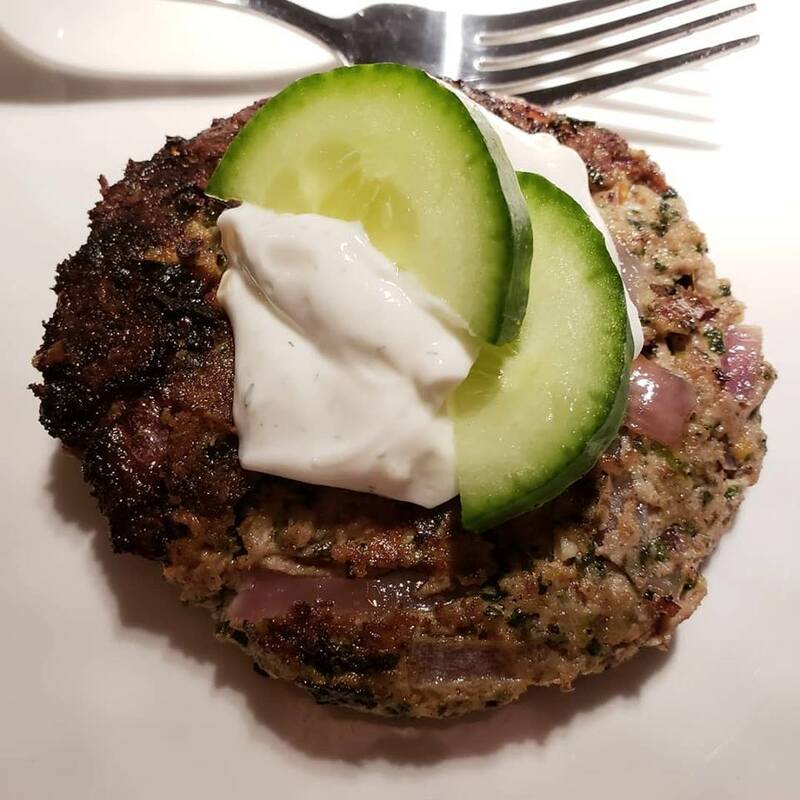 Pair this perfect patty with a delicious cucumber salad or oven roasted low carb veggies. If you really need a bun choose a low carb option to keep your low carb eating in check. I haven’t felt the need to include a bun but I think I will start testing a few recipes so I can share this with those of you that can’t live without them! In small bowl, yogurt, cucumber, red onion, dill and lemon juice. Refrigerate until serving. In medium bowl, mix all ingredients from ground turkey to garlic. Shape mixture into 4 patties, about 1/2 inch thick. Heat coconut oil in cast iron pan over medium heat. Cook 8 to10 minutes, turning after 5 minutes (meat thermometer inserted in center of patties should read 160°F. Plate burgers and top with cucumber slices and sauce.